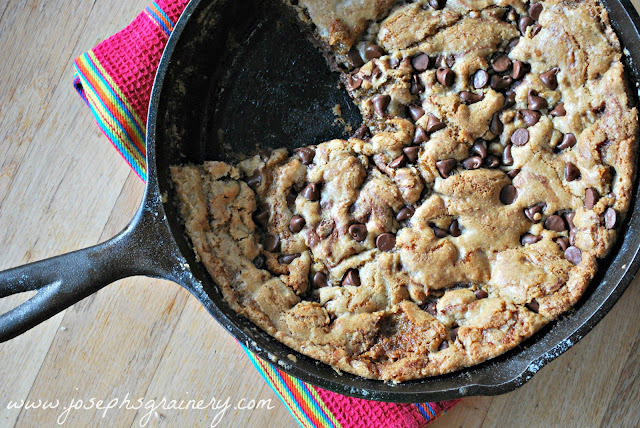 Now, this Whole Grain Skillet Chocolate Chip Cookie may just really be the greatest thing since sliced bread. 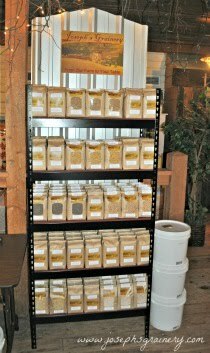 Not only is it delicious to eat, MaMa says that it's super easy to make, and you don't have to dirty too many dishes & utensils! We all know MaMa likes it when she doesn't have to do dishes. 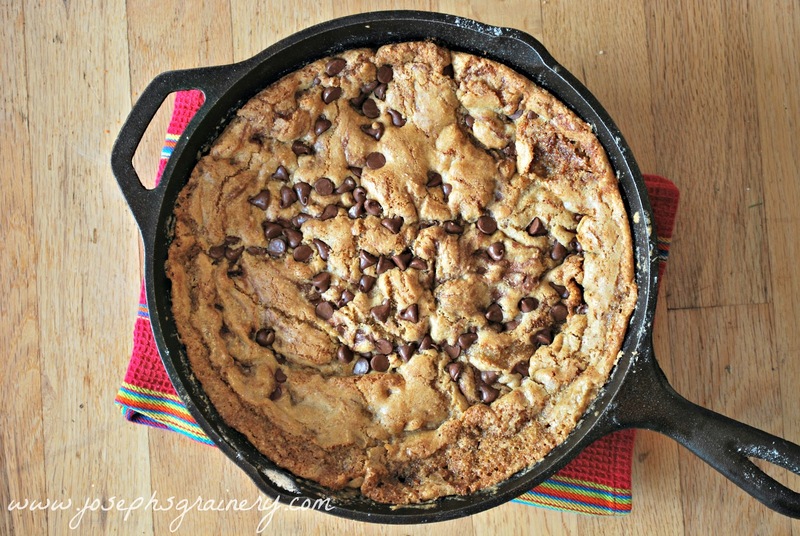 I know for certain that we'll be enjoying a Skillet Chocolate Chip Cookie again some time soon. Directions: Preheat your oven to 350 degrees. Melt the butter in an 8 inch cast iron skillet set over medium-low heat. Stir in the sugars and vanilla. Remove from heat. Let rest until pan is warm, about 5 minutes. Add the egg to the butter and sugar mixture, and with a fork, whisk it into the mixture. Add the flours, baking soda, and salt - stir into the mixture until smooth. Sprinkle the chocolate chips into the batter. Place in the oven for 15 minutes, until starting to turn golden on the top and around the edges, but soft in the center. This Skillet Chocolate Chip Cookie disappears fast.